SIBA was definitely winding down on Sunday, and Kathy and I decided to we didn't need to rush over to Savannah first thing in the morning. Instead we had a leisurely breakfast in Hilton Head before Kathy had to drive over "the bridge." We took another stroll around the showroom floor and managed to collect a few more books! We were gearing up for the Moveable Feast of Authors which was part of #ReadSavannah. Kathy had told me how much fun the Moveable Feast was, and it certainly didn't disappoint. During our lunch, we had ten authors come by our table and talk to us about their book for ten minutes each. Kathy and I got there relatively early, and I noticed that Liane Moriarty was sitting all by herself. Of course, I scrambled over to sit next to her, and we were lucky enough to get closer to a half hour with her instead of just the ten minutes. In case you're wondering, she was extremely sweet! Naturally, there were some books that appealed to me more than others, but I found each and every speaker to be interesting. I am especially excited about two YA titles -- GIRL IN PIECES and THE THOUSANDTH FLOOR; and as strange as it sounds, I thought ORIGINAL GANSTAS sounded fascinating. Kathy and I headed back to Hilton Head and stopped along the way for shipping materials. I had quite a few books to ship back to Pennsylvania, and I wanted to box them up so it wouldn't be so much work on Kathy. We had a blast looking through our stash of books and comparing. I will admit that we were both a little giddy being surrounded by all these amazing books. CRUEL BEAUTIFUL WORLD by Carolyn Leavitt -- I read this one right away and it was amazing! THE WANGS VS. THE WORLD by Jade Change -- I'm reading this one right now. I'LL TAKE YOU THERE by Wally Lamb -- One of my all-time favorite authors. A LOWCOUNTRY WEDDING by Mary Alice Monroe -- I met her at a party and loved her. DARKTOWN by Thomas Mullen -- Sounds like a great thriller. LITTLE DEATHS by Emma Flint -- Another one perfect for Mystery Mondays. Needless to say, I have so many books sitting on my shelves that I'm dying to read. If only I could forget my obligations and read full-time! Fortunately, we had some time in the evening to take a walk along the beach. Kathy's family's condo is about a five minute walk to the beach, and we hadn't had even a spare minute to visit it. 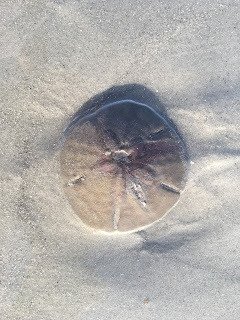 There were two weddings going on which were fun to see, and sand dollars were everywhere. I don't think I've ever seen one prior to the bleaching and drying out process! And that's pretty much a wrap on my trip to SIBA! Kathy and I woke up at the crack of dawn on Monday morning and she drove me 2 1/2 hours to the Columbia airport so I could catch my flight home. I had an amazing time -- there really is nothing like Southern hospitality, and I couldn't wait to see my family; however, it was bittersweet because I had to say goodbye to my friend. 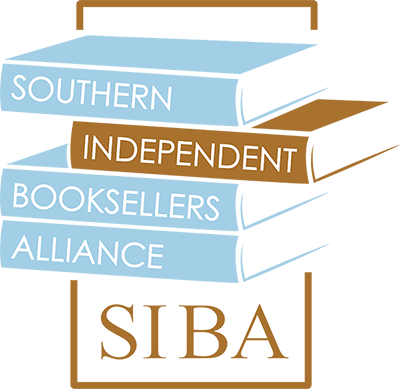 I'm so glad we got to go to SIBA together - I had a blast! We need to go back to the beach for a week of reading now! Of course, we'd have to sit far apart or we'd talk the whole time.